After regularly providing used buying tips in CAR, I’ve decided to put my money where my keyboard is. 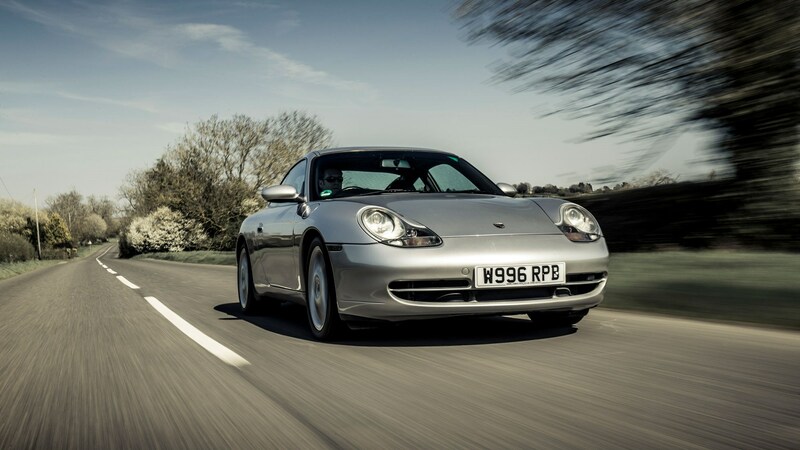 It started over a year ago when I visited Porsche specialists Autofarm in Oxfordshire and drove their 996 Carrera. That’s code for the fourth-generation 911 often deemed the runt of the litter, but it didn’t seem so runty to me: it felt light and compact, and its steering, engine and chassis brimmed with fizzy energy. That was a special example with a hot engine and the optional M030 sport suspension, but as I left I said I’d be interested in a more affordable 996 Carrera. No rush – I’d just buy if the right car emerged. 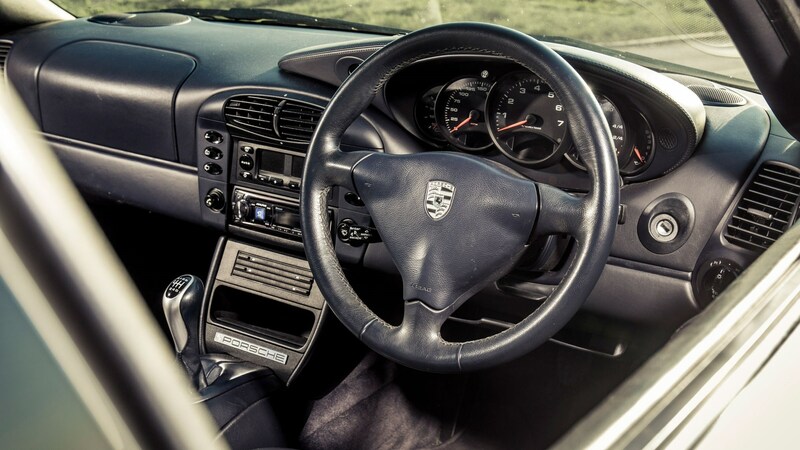 Produced from 1997 to 2004, the 996 received the first all-new platform in the 911’s 34-year existence, but was controversial at the time of its launch mainly because it was the first 911 to switch from air- to water-cooling, and also because of its ‘fried-egg’ headlights with integrated indicators. 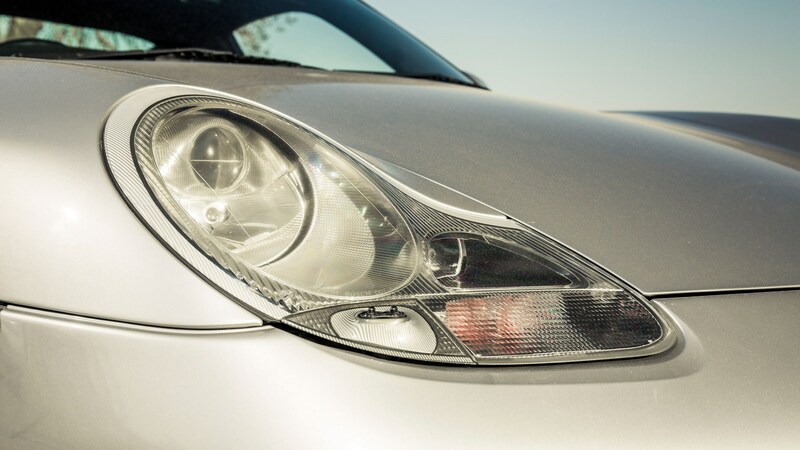 Not only were they a departure from the 911’s trademark elliptical headlights, they were also shared – as was the front end and the interior – with the much cheaper Boxster. The body seemed blander too, likened to a ‘bar of soap’ in many reviews. 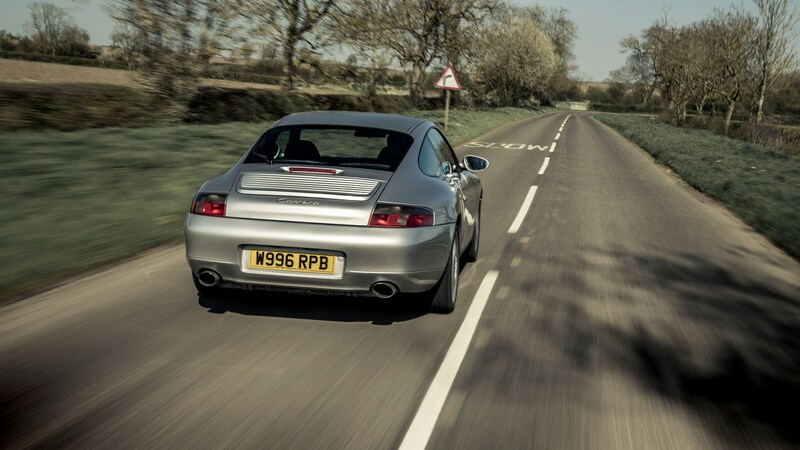 The 996 has never really lost that baggage, meaning all the older air-cooled 911s are significantly more expensive in comparable specs, and so – mostly – are examples of the 997 that followed (the values of low-mileage 996s and high-mileage 997s overlap). But it’s also an incredibly significant car in Porsche’s history and its transformation into the profitable powerhouse we know today, and I think its clean lines have aged well. There were Turbo, GT2 and GT3 examples that I couldn’t afford, and cheaper Cabriolets and Tiptronic autos that didn’t appeal. That left two really desirable models: one was the 4S, with all-wheel drive, natural aspiration and the wider Turbo bodyshell that are often over £30k today. But really that was still too pricey, and I wanted the interaction of rear-wheel drive, for both chassis balance and steering feel. 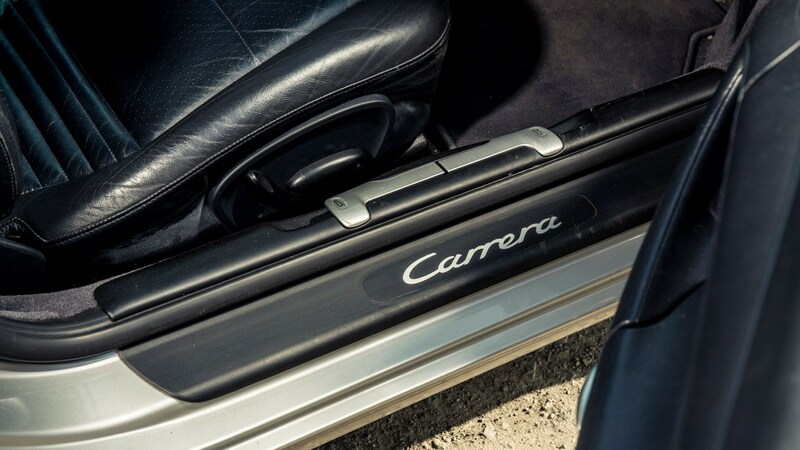 That left the Carrera 2 manual. For those craving a driver-focused 911 on a budget, this is the one. It’s rear-wheel drive, with three pedals, and has a beautiful naturally-aspirated flat-six. 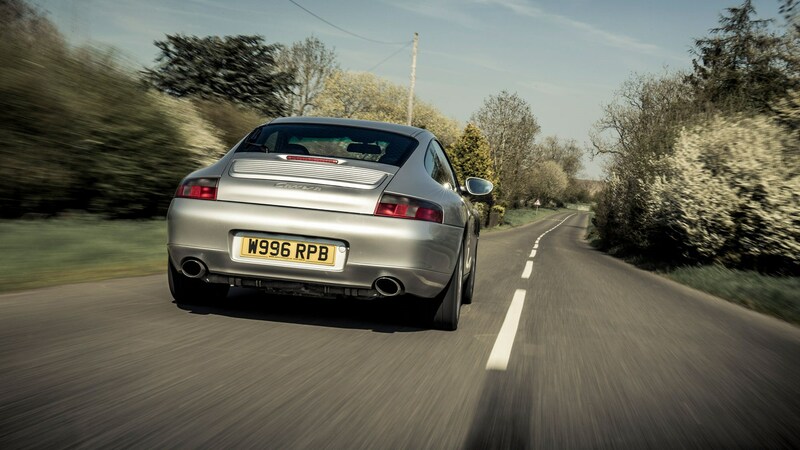 And here’s a fun fact – it’s the lightest water-cooled 911 you can buy, the same-generation GT3 included. It’s also 80kg lighter than the air-cooled 993 predecessor, which is 50 per cent wobblier. 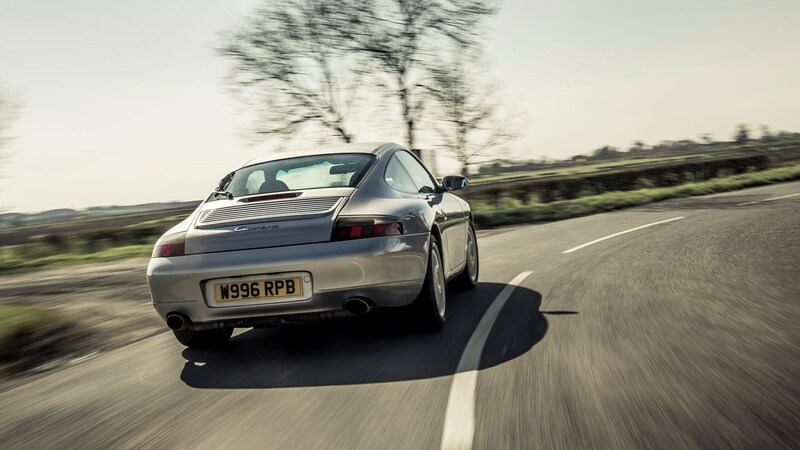 And you still get the rear +2 seats, which I’ll need from time-to-time – in fact, there’s a surprising amount of room, as a 996 is 18.5cm longer than the previous 993. 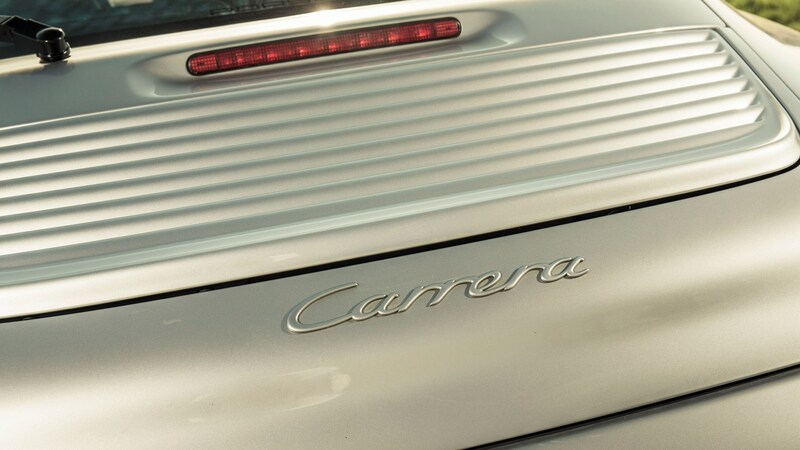 You’ll see Carrera 2s from around £11k with higher mileages, while most good cars seem to sit in the £15k-£18k bracket, and some very low-mileage cars are advertised for over £20k. I was erring towards a 2002-onwards model, perhaps with around 70,000-80,000 miles in that £15k-£18k bracket. These facelift models got prettier headlights no longer shared with the Boxster, and bumped engine capacity from 3.4 to 3.6 litres. As a result, performance improved to 320bhp/273lb ft, up from a 3.4-litre’s 300bhp/258lb ft.
A dark interior colour – black or navy blue – was non-negotiable, because the lighter/brighter shades look terrible and cover the interior like the Stone Roses have been at the Dulux circa 1990. But those colours do make for even cheaper 996s, and I’m also a believer in not tying yourself in knots over a dream spec, otherwise you’ll never find a suitable car. 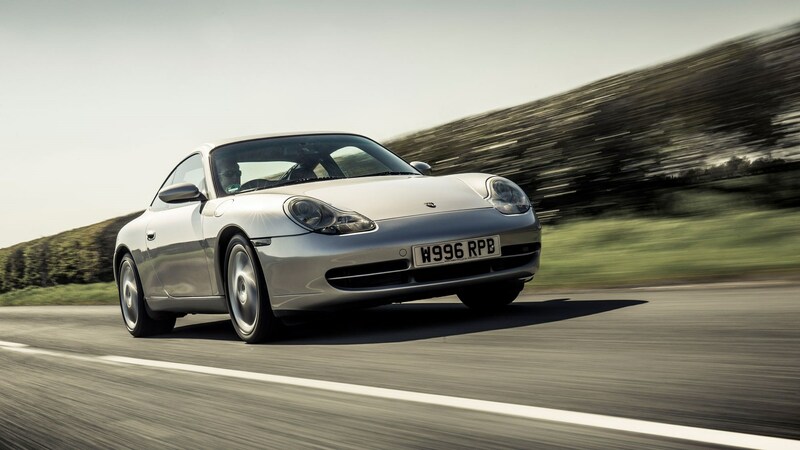 I also fretted that I’d be too scared to use a really nice car, that a good 996 was too close to more desirable 997 territory, and that a very well maintained car with higher miles might actually suit me better. Then Autofarm called. 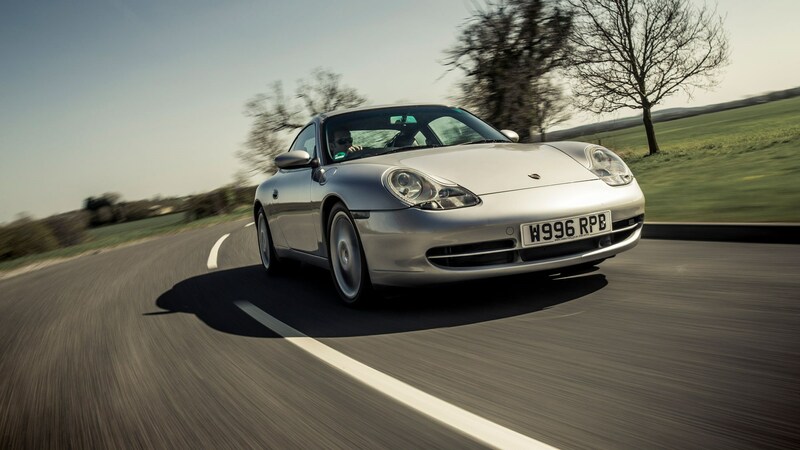 A well-regarded customer was selling his 996 Carrera 2 manual, but it was a 3.4-litre with almost 140,000 miles. Pre-facelift, too many miles, I thought, but it was silver with dark blue leather, no sunroof, the desirable three-spoke steering wheel, no extra body styling, and the optional Turbo-look 18s (17s are standard and look weedy with the streamlined body). Save for a slightly rortier Dansk exhaust, it was standard. It had a fully documented history, endless receipts, and Autofarm said the previous owner ‘allowed us to maintain it to Porsche standards’. He was a German lawyer based in the UK with a large car collection, and had covered 60k miles in four years of ownership. The bills were pretty huge, and he’d topped it all off with a major service, fresh clutch and flywheel and a new intermediate shaft (IMS) bearing shortly before the sale. 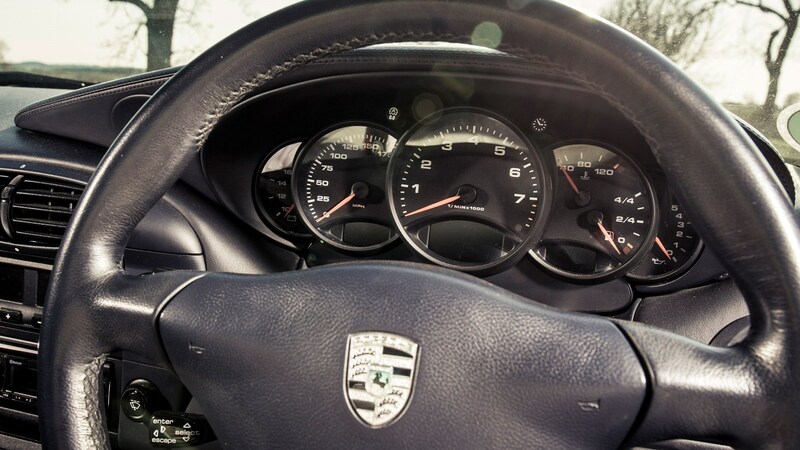 The IMS is pretty crucial, and the stuff of internet legend when it comes to 996 buying. The intermediate shaft sends drive from the crankshaft to the double overhead cams. But oil can get into the bearing, which dries the grease up, allowing the bearing to break apart. Occasionally mechanics will spot gold specs in the oil filter during servicing and avert disaster, but generally the IMS bearing goes without warning, and with devastating, piston-bashing consequences – you’re looking at an engine rebuild, which starts from around £9600. The preventative alternative is to upgrade the IMS bearing for around £2160 for a manual – a little more for an auto – and it makes sense to replace the clutch too, because IMS bearing replacement involves removing the transmission and flywheel anyway. This is why cars with a new IMS bearing are typically more expensive to buy. The maintenance record and that IMS upgrade made this leggy, early 996 much more appealing. Ducts in lower front bumper for radiators can get clogged with leaves, which rot and cause radiator damage. Condenser replacement is £1062, radiators £1230, cheaper when done together. So regularly unblock those ducts. 3.6 engines can suffer from bore scoring. The solution is to lightly skim and Nikasil-coat the bores before honing to the correct size, then Xylan-coat the pistons. ‘Chunking’ was reported in early 3.4s, where chunks came out of the cylinder bore and oil and water mixed – with full-engine rebuild consequences. Few reported these days. 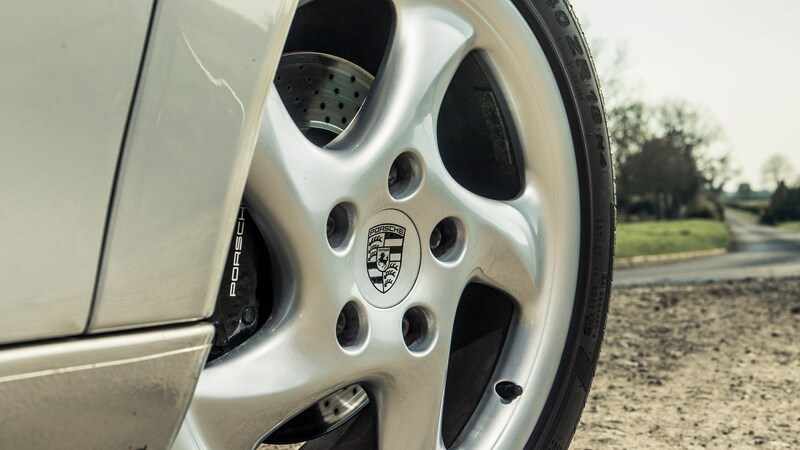 Porsche specialists Autofarm charge £300 for a basic service (oil and filter, pollen filter), or £400 for a service with more preventative maintenance. A minor service is due every year/12k miles, a major service every four years. Clutch and flywheel replacement costs £1248 for OEM parts. Front discs and pads are £708 fitted for OEM parts. Rears are £612. If you need to replace coffin arms and tuning forks (suspension arms), prices start at £264 per coffin arm including fitting, while forks are £228 including fitting. You'll also need to budget £252 for geometry set up. I viewed the 996 at the seller’s home, and it was a dream scenario, with the car tucked up under a tailored car cover in a garage at the side of a house I couldn’t afford. He presented me with a huge history file organised with the stereotypical diligence of a German lawyer. The car wasn’t perfect – there were small stone chips here and there, there were some scuffs and scratches on the interior, the rear Pirelli P Zeros were thin, and I definitely prefer the later headlights – but it stacked up as the honest, well used, fastidiously maintained example I’d been verbally sold. I thought it drove beautifully too, with tight steering and suspension that belied the mega mileage – though leafing through the receipts I found receipts for replacement of key suspension components too. The engine still seared and rasped like a 911 should, the gears shifted slickly and it rode nicely. Yes, the switchgear looks plasticky, but I care very little about that. I paid towards the lower end of 996 values, which I thought was a steal given the maintenance record. Then it was £450 for insurance, a further £255 for a year’s tax and I was away. I tried to avoid using it during really cold periods through winter when the roads were freshly gritted, but it’s been used in those conditions previously – and Waxoyled annually – so I didn’t lock it away. The expert advice is to make a choice and stick to it: use it regularly or dry-store it. The worst is an infrequently used car that languishes outside; mine gets garaged. I came to relish playing with the 996’s delicious balance in the wet – there’s far more understeer to manage than newer 911s, masses of traction when you want it, but also a fluidity to the way a 996 oversteers that I find both childishly exciting and completely unintimidating. Stiffer suspension and an LSD would make it even more progressive and controllable beyond the limit, but it’s a nice balance for regular use. My 996 has passed its MoT with all but a final warning on those tyres, and has just returned from annual servicing at Autofarm. You can choose from £300 for a basic service (oil and filter, pollen filter), or £400 for a service with more preventative maintenance, including Waxoyling brakelines. I went for the latter, and there were no more costs over that figure. 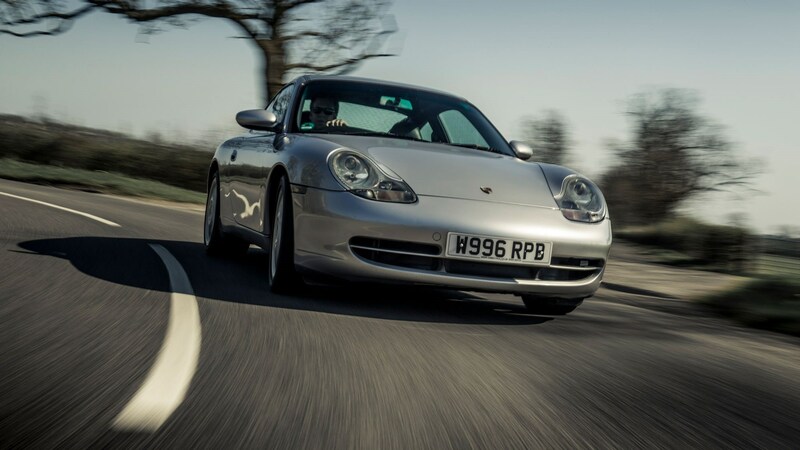 I haven’t bought a 996 to turn a profit, and I’d be surprised if running costs didn’t outweigh even the most ambitious predictions for any future appreciation. But I’m just happy to have an affordable 911 tucked up in the garage, to walk in and just stare at it, or fire it up and enjoy its benchmark steering, chassis and powertrain whenever I like.